Biomimicry: What About the Why? In her article, “Towards a Deeper Philosophy of Biomimicry,” Freya Mathews argues that biomimicry is philosophically under-developed. The current objective of biomimicry is to reorganize what and how we make things, instead of why we make things. Focusing on the what and how presumes a shift in why (i.e. a shift in the maker’s mindset) will follow. It presumes that the act of emulating natural forms and processes delivers increased consciousness of the principles of natural systems, and eventually, behavioral alignment with those principles. But it is dangerous to presume a shift in why. Given the current state of our environment we assume far too great a risk by delaying attention to the why. To accelerate a mindset shift, we must address the following questions: Why do we make things? What optimal future state are we pursuing through biomimetic innovation? Answers to these questions will help us develop a more robust biomimicry philosophy. Nature is the key component for Biomimicry, but have you struggled convincing yourself, your children or your friends to go out in nature more often? Do you feel like people think you are a hippie because you love nature so much? Project Wild Thing (click to see trailer) is the documentary for you. In the film, David Bond, Marketing Director for Nature, takes on the task of convincing people to get outside. As a worried dad seeing his children becoming addicted to TV and games, rather than playing outside, he tries to promote nature again. 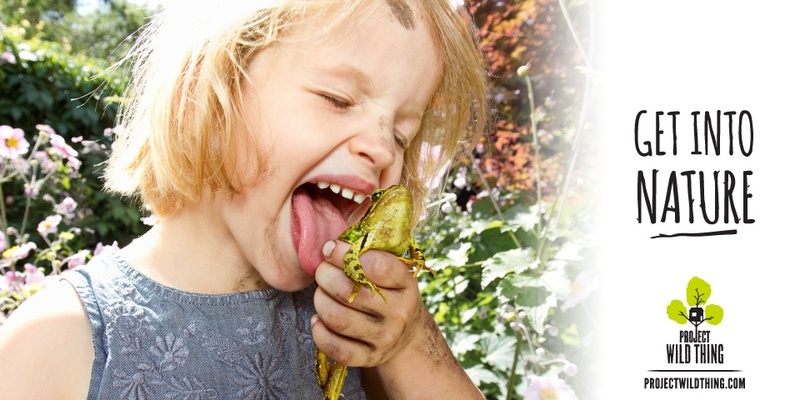 The film explores the increasing disconnection between British children and the natural world around them. Although many children think nature is boring and unattractive, the film shows that this idea can easily be changed. However, one of the main challenges of getting this change to happen falls in the hands of the parents themselves. They worry about letting their children outside; kids are being overloaded by homework; and parents are becoming lazy themselves – they’d rather let their kids watch TV than go play in a forest with them. – With the support of branding and marketing, nature could once again be a popular ‘free product’ for kids. Less waste, less money, more playful area. – Letting your kids be active at a young age should support an active lifestyle as an adult. It’s easily accepted that you are healthier, happier and more productive when you are active. Additionally, playing in nature provides many different sensory experiences that promote brain development, which are just not replicable with virtual play. – A big and frankly terrifying question is what might happen if a generation becomes completely disconnected from the natural world… This goes back to the “Ethos” of Biomimicry. You care for things you love. But you can only treasure nature if you have had great interactions with it. Message? Stop staring at your computer screen and act. You can start by looking at his website: https://projectwildthing.com (oh no, wait, that’s requires you to sit at your computer…but still go have a look when you have time). I have stumbled upon several interesting videos on a YouTube channel call SmarterEveryDay every so often in the past, but hadn’t browsed the channel thoroughly until very recently. What got my attention this time is a video that I called “a different kind of swarm”, which documents an interesting and unique behavior of a group of caterpillars. This kind of caterpillar swarm behavior is much different from the swarm examples that we’re typically familiar with, such as a school of fish, a flock of birds or an ant colony. The video below not only documents the bizarre mode of locomotion from the caterpillars, but also provids a potential explanation for the evolution of this strategy and identifies the bio-inspired design principles abstracted from it. Last week we celebrated Bill’s advancement to PhD candidacy by watching the Maker documentary together while feasting on Chinese BBQ. “Maker” is a documentary on the rapidly growing Maker Movement and its impact on society, culture and economy. Recent advances in automated manufacturing (e.g. 3D printing) is driving the Maker Movement, which is powered by DIYers who want to build their own things rather than buying them. As a result of the Maker Movement, more and more makerspaces are popping up offering community-based industrial spaces equipped with cutting-edge manufacturing tools. Further supporting the Maker Movement is a shift towards open-source design templates and proliferation of crowdfunding sites like Kickstarter and Indiegogo. These trends are enhancing collaboration between tinkerers around the globe. As proven by nature, mixing up the gene pool helps speed innovation. “Maker” is the follow-up of another documentary, “Design & Thinking.” Both are efforts of Muris Media. Bill knows the director of the two films, Mu-Ming Tsai, through the Innovation Open House (IOH) platform. IOH, founded by Taiwanese entrepreneur Chuang Chih-Chao, is a place where prospective students deciding which university is right for them can review personal insights from current students and alumni from countless universities with unique degree offerings. Bill shared his experience studying biomimicry at the University of Akron on IOH, and Mu-Ming described his experience of the film department at the Academy of Art University in San Francisco. After connecting with Mu-Ming through IOH, Bill watched his documentary “Design & Thinking” and really liked it, which is why he recommended all of the biomimicry fellows get together, watch, and discuss the “Maker” follow-up. The documentary shows great projects and recent advancement of the Maker Movement. Amongst the interviewees are some of high-profile players: Carl Bass (CEO of Autodesk), Charles Adler (Co-Founder of Kickstarter), Danae Ringelmann (Founder of Indiegogo), and Jim Newton (Founder of TechShop). Interviewees comment on the fact that the way of the future is democratized, small batch manufacturing, with more customization. For many years, society undervalued maker classes like woodworking and basket weaving, but creativity expressed through making is making a comeback. The Maker movement, coupled with the open-source and crowdfunding movements, can play an important role for further driving and supporting biomimicry efforts not only because it encourages more and more people to make prototypes and test out their ideas, but also because it facilitates connections between distant makers with like interests. The scientific world can learn something from the Maker Movement too: open source inspires. The scientific community should push academic journals to make papers more widely accessible, and not make the scientists themselves pay for both the publication and acquisition of papers. We strongly encourage the makers of these inspiring documentaries to make their next documentary about Biomimicry! In light of Ocean Day, which was on June 8th, this blog post is about the plastic soup drifting in our waters. Waste is a global problem that is created by our consumer-culture and economy. A radical change of our industrial processes and individual mindset is needed; this is being advocated in numerous new ideologies and strategies like Biomimicry, Cradle-to-Cradle, Circular Economy, and Blue Economy. These approaches encourage recycling and re-use of wastes as inputs for other value chains. 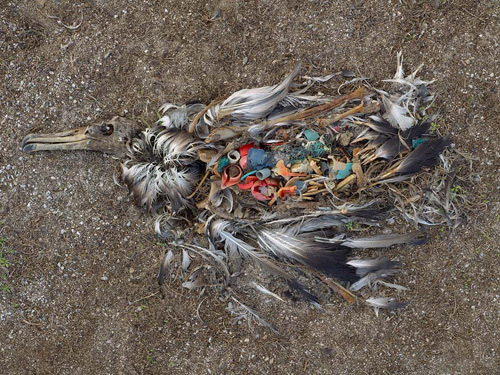 – There is 6 times more plastic waste than life (i.e. zooplankton) in the surface waters of our oceans. Zooplankton is an essential organism, as it is at the bottom of our food chain, and produces large portions of the oxygen we breathe. – Plastic particles leach chemicals into our waters. This attracts other chemicals making the substances even more dangerous. These small particles are being ingested by marine organisms and stored in their body fat. The further down the food chain, the worse the contamination gets. This effect is called bio-magnification. – Plastic is built to be long-lasting and this is great for durable products. The problem we’ve created is caused by throwing plastics away after one usage. We use it for several minutes, at best a few days, but the actual plastic is around for a very long time after disposal. One difficulty is that people love their habits and are resistant to change. How many times have you thought before grocery shopping “This time I’ll try to buy something different!” But still, you come home with most of the same products you always buy. Almost all of these products are wrapped in plastic packaging, and in turn put in plastic bags. Both the package and the bag quickly end up in your garbage can. This gets picked up, and you don’t see or think about it anymore. BUT… you might be surprised, one day you could actually get back in touch with your plastic waste, albeit in a very different, disturbing form! Let’s make it a challenge: try to not consume any new plastic product (packages, bags, cups, cutlery etc.) this week. You’ll quickly be amazed by how much plastic we are using; it’s everywhere! Even better, share some of your creative solutions for not using plastic. I start now! What about you? Let’s try making a new habit, together. This book could help us: The Power of Habit (by Charles Duhigg), it’s a great read!